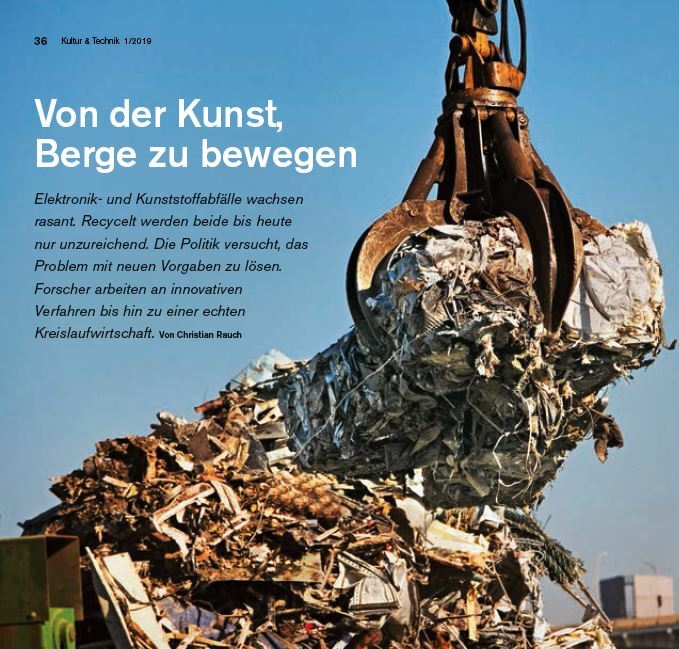 Recycling of waste electrical and electronic equipment (WEEE) has been discussed in the latest issue of "Kultur & Technik - The Magazine of the German Museum". Amongst other things the IME's approaches and research were presented. 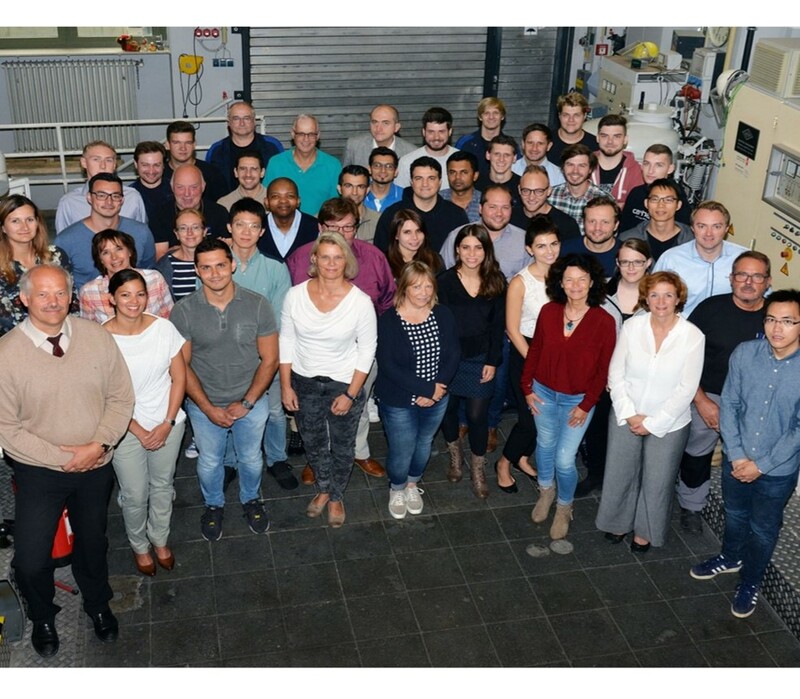 IME successfully conducted a thorough R&D project for the German Federal Institute for Geosciences and Natural Resources (BGR) in 2018. 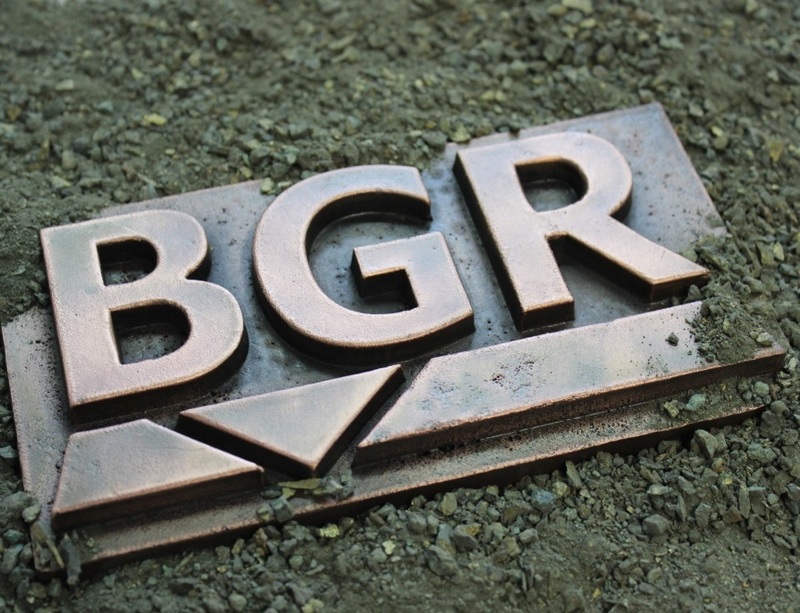 For the project a Massive-Sulfide sample from the German license area in the Indian Ocean (so called Kairei hydrothermal vent field) in about 2000 m depth was collected by BGR and delivered to IME for metallurgical tests. The sample mostly consists of chalcopyrite and copper-sulfides with an average copper-content of 39%. 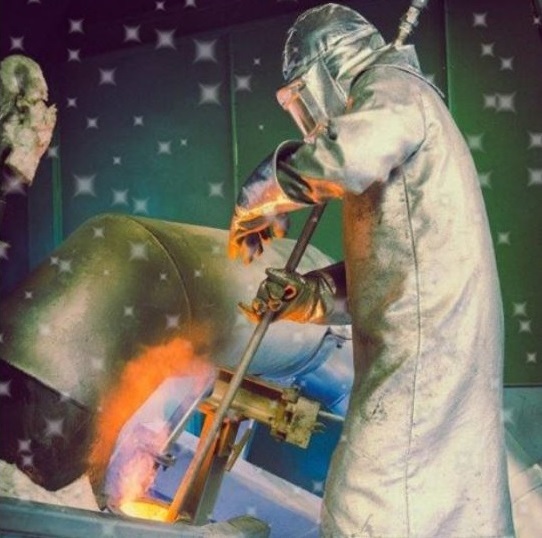 On the one hand the classic pyrometallurgical processing route (matte-smelting and converting) was investigated in a lab-scale, on the other hand oxidative leaching trials were carried out under increased pressure in an autoclave system as well as under atmospheric conditions. The project proved that this “new” deep-sea ore can be processed with high copper extraction rates similar to the processing of copper-concentrates, as was expected. After more than 17 years the IME has to farewell its chief engineer Dr. Fuchs, who took his well-deserved retirement. We are thankful for the commitment, the patience and the time spent together. Notwithstanding we would like to introduced our well-known colleague as our new chief engineer and wish him success. Like every year, we proudly present our IME group photo. 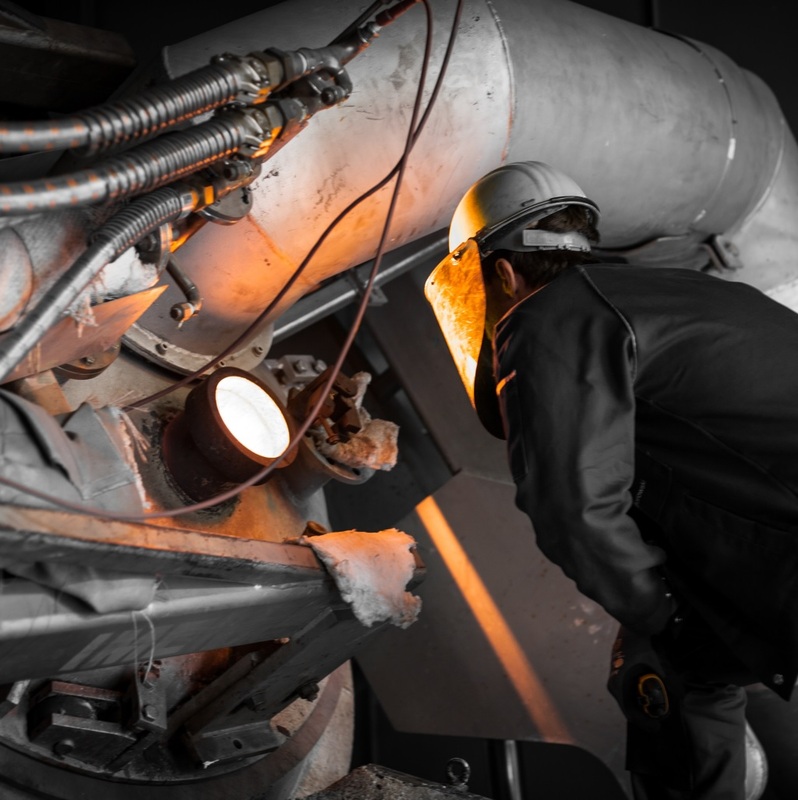 This year the photo has been taken in one of our pyrometallurgical working halls. 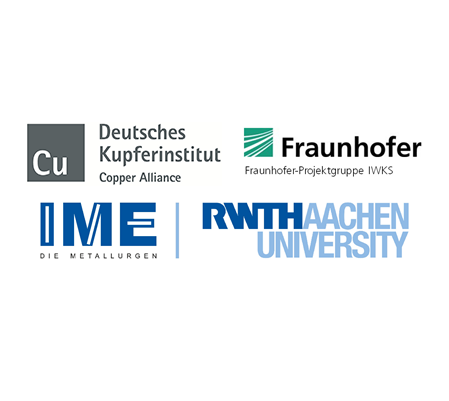 At the invitation of IME and the German Copper Council (DKI) 28 experts on copper research and production from eight European countries met in Aachen to discuss the current legislations and technical strategies of lead removal in a workshop on “Lead in Copper Alloys” on June 16th. Following the introductory remarks of Prof. Friedrich and Dr. Ockenfeld (DKI), Simon Hilgendorf had the opportunity to present the results of his cooperation PhD between the IME and the Fraunhofer Project Group IWKS. The presentation was followed by an intensive discussion about the possible industrial implementation of the approaches, especially from an economic perspective. The event was concluded by an IME-tour, including a demonstration experiment, which practically showed the precipitation of intermetallic calcium-lead-phases from molten brass. The IME purchased a new high-pressure autoclave (by the manufacturer Büchi) within the framework of the governmentally funded research project CO2MIN. Goal of the project is the development and optimization of a carbonation process of anthropogenic CO2-emissions in order to generate marketable products. The process will be tested in a 1 L vessel before upscaling to 10 L vessel. Mineral sequestration of CO2 is a natural reaction, which can be accelerated under high pressure. Thus, it takes only a few minutes to complete the reaction under 200 bar and 300 °C. The autoclave will be ready for operation in June. Recently the IME carried out successfully a big campaign in the TBRC, which lasted several weeks. The trials required melting, reduction and converting measures as well as the effort of the employees for three-shift operation. Mr. Van der Heiden showed great commitment for the IHK (Industrie- und Handelskammer) initiave “apprenticeship ambassador”, which supports the exchange of apprenticed and pupils before their choice of career. The certificate can be seen in the attached pdf.-file. 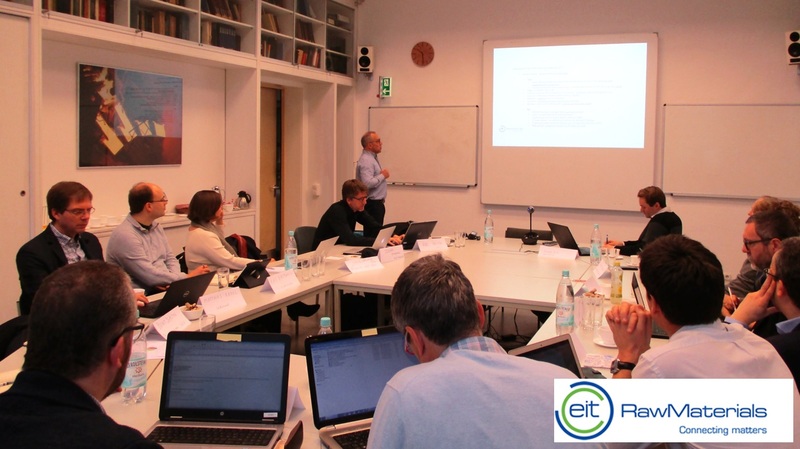 For the first time since RWTH Aachen University joined the European Rawmaterial Commmunity KIC „EIT RawMaterials“, a steering committee meeting took place at the IME. 19 participants from five different countries gathered on February 15th to discuss current challenges concerning mineralic and metal containing secondary materials. 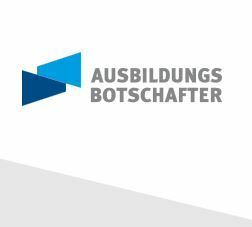 The KIC-personnel (https://eitrawmaterials.eu/clc-location/clc-west/) reported about running and future recycling-research projects in the field of higher education – business – research&technology. The meeting was concluded with an IME-tour guided by Prof. Friedrich. 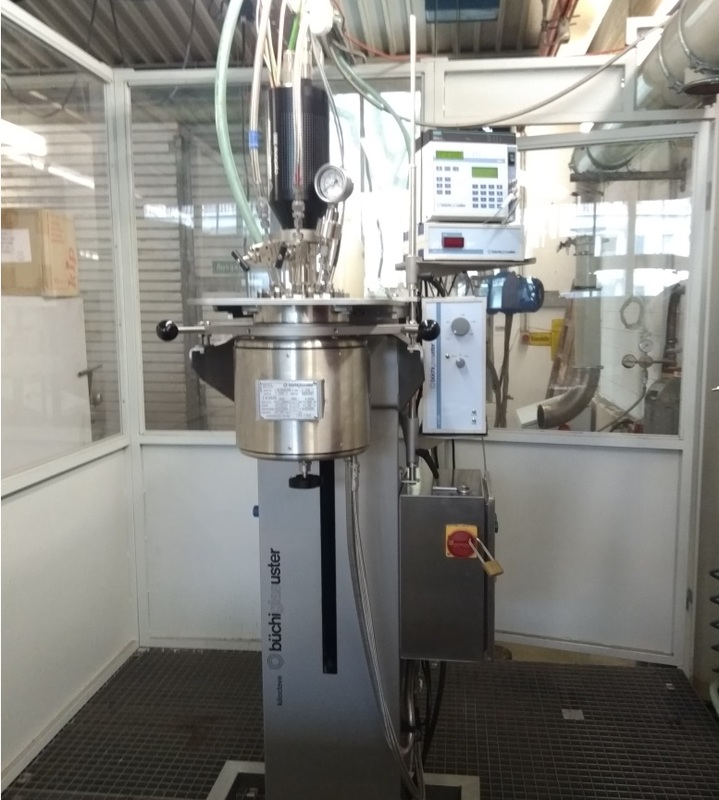 Simultaneously starting with the year 2018, a small scale TBRC is available at the IME. The 1 m³ TBRC’s technical infrastructure can now be equipped with a smaller vessel with a melt volume of approximately 100 l. The heating is provided by a water-cooled ZZ 150 kW oxyfuel-burner. The “Midi-TBRC” already passed its acid test the context of a series of experiments as it can be seen in the picture. 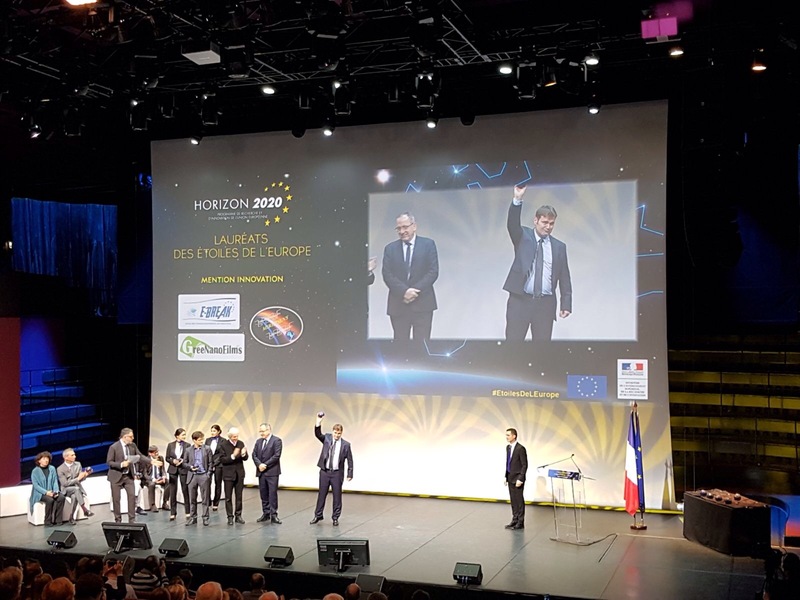 The French government recently awarded the 12 best European research projects during the „Étoiles de l’Europe“-award ceremony. Amongst those is the E-BREAK project, which was carried out with IME participation. The goal of E-BREAK was to accomplish technical components for future plane motors. 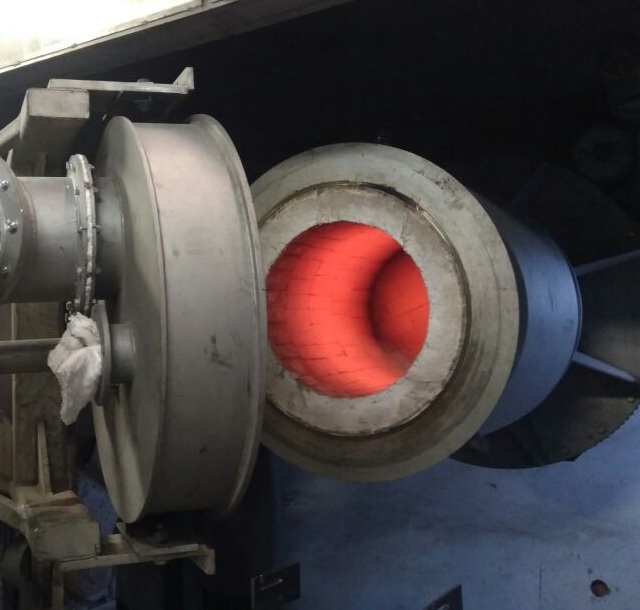 The focus lied on the development of innovative ventilation systems, lubricating oils, sealings, coatings and lighter and more temperature resistant materials. The IMEs task was to recycle titaniumaluminides from turbine blades while securing a reuse of the material in the aviation sector. The project ended successfully and even surpassed the set aims. The EURARE-project was successfully terminated after a funding period of 5 years (2013-2017). 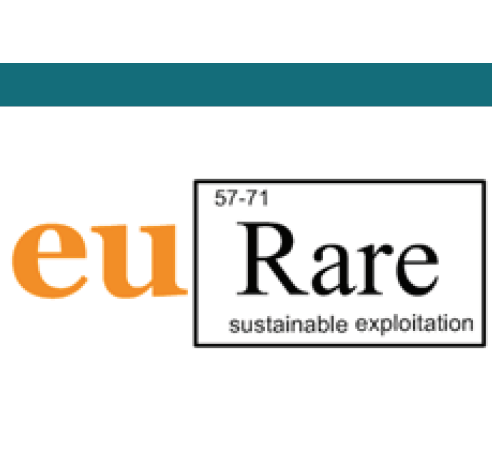 Its mail goal was to set basis for the development of a sustainable European Rare Earth Element (REE) industry. It aimed to safeguard the uninterrupted supply of REE raw materials and products crucial for sectors of the EU economy in a sustainable, economically viable and environmentally-friendly way. The project was funded by the European Commission (EC) and brought together academic and industrial researches from various European countries. “The optimized use of limited, especially critical, resources is crucial for a circular economy.” enhanced Professor Friedrich in the course of his presentation at the IdeaCamp “Innovation & Research In The E-Waste Recycling Chain” in Aachen. Besides, innovative and environmentally compatible solutions only can be realized as long as materials and energy sources are available in both volumes and reasonable prices. Especially in countries lacking of primary raw materials, like in the EU, the leverage effect of economically strategic metals is strong. Recycling, referring on the whole value chain of material processing, is a central key to impede supply bottlenecks. E-waste constitutes an important secondary raw material for the EU, containing significant amounts of base, strategic, critical and precious metals. 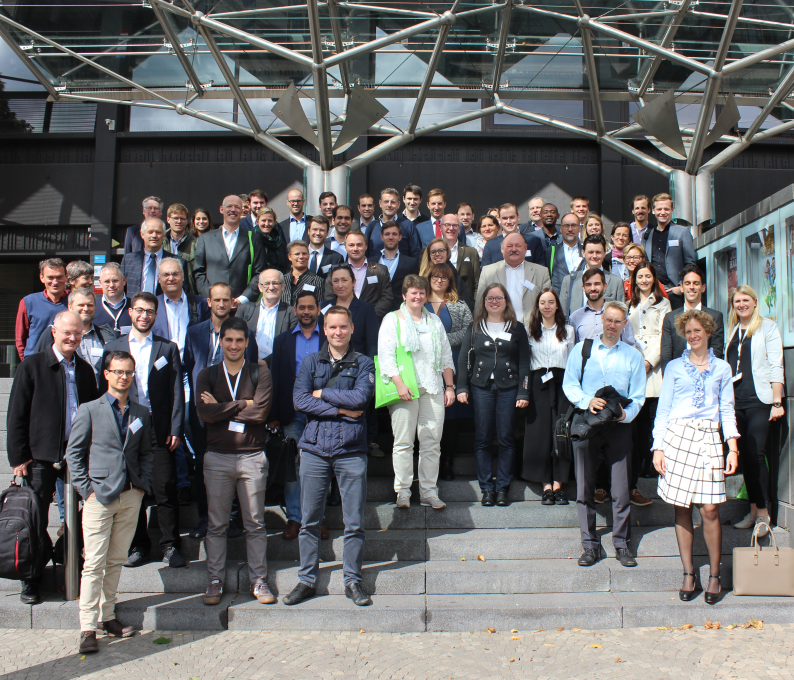 So, on September 13th and 14th, 2017, researchers and reputable industry representatives came together under the direction of the IME and the EIT RawMaterials GmbH to have vital discussions on the optimization of recycling chains. Around 60 participants tackled trends, critical issues and challenges for future recycling strategies. Furthermore, several thoughts regarding reasonable proposals were shared. In summary, the event enabled an open exchange and discussions in the field of resource efficiency a responsible use of technology metals and materials.